Our prediction that HTC and Sprint were going to reveal an EVO-branded HTC One phone was correct: The HTC Evo 4G LTE made its debut this afternoon in New York City. The Evo 4G LTE will go on sale sometime in the second quarter of 2012 for $200. Despite its clunky name, the Evo 4G LTE looks like a slick handset. 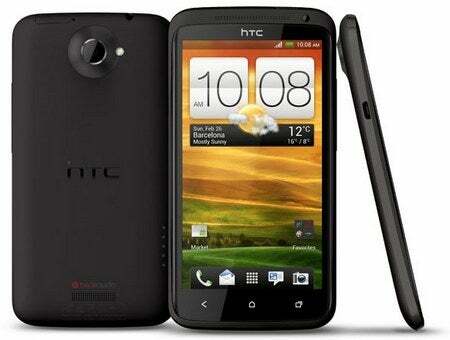 We got our hands on the global HTC One X back in February, and its design and specs are very similar to the One X. As HTC told us at Mobile World Congress a little more than a month ago, the company was focused on three key elements for its One line of phones: Camera, design, and sound. The Evo 4G LTE definitely has the design element, with red accents meant to mimic a DSLR camera. And staying faithful to the Evo family of phones, the Evo 4G LTE has a built-in red kickstand. 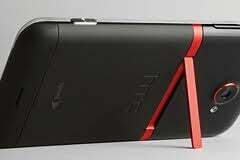 Like the rest of the One line, the Evo 4G LTE’s camera also has the HTC ImageSense software with the HTC ImageChip. HTC One cameras boast an almost no-lag shutter speed, an f2.0 aperture, and a handful of different shooting modes, including High Dynamic Range (HDR) and Panorama. Also similar to the HTC One X is the 4.7-inch Super LCD display, the Android 4.0 operating system with HTC's Sense 4.0, and Beats Audio for music enhancement. There are a few differences between the Evo 4G LTE and the global HTC One X, however. For instance, the Evo 4G LTE will be the first phone on a U.S. carrier with HD Voice. Sprint 's demo of HD Voice showed how it significantly decreases background noise. This is made possible by a dual-core 1.5GHz Qualcomm Snapdragon S4 MSM8960 chip, the same chip found in the AT&T version of the HTC One X. Sadly, as we predicted, there’s no Tegra 3 quad-core chip in the HTC Evo 4G LTE as in the global version. The MSM8960 uses dual-microphone noise suppression and earpiece active noise cancellation. The Evo 4G LTE will be available for pre-order starting May 7. We’ll have a hands-on with our first impressions of this new smartphone up shortly. Stay tuned.